Sounds like an oxymoron. How can anything magical be real? Did the idea of magic come from the wishful thinking thousands of years ago? 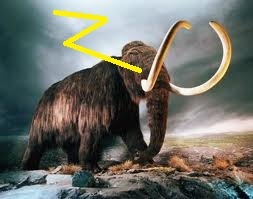 Was it born of coincidence, as when a hungry Neanderthal wished that charging mammoth would just drop dead…and then watched as lightning struck it? Perhaps the concept of magic grew from enthusiastic explanations for the unexplainable. Lightning was a mystery until just a few hundred years ago. Thunder had various explanations in every culture before science made it less fun with diagrams of super-heated air and sound waves. I prefer the bowling trolls, myself. Other common events like illness and decay have been blamed on sorcery for as long as they have existed, and still do in cultures that have not embraced the scientific method of explaining the world around us. Aleister Crowley defined magic as the “science and art of causing change to occur in conformity of will.” (He spelled his magick with a k). Is it possible to cause change to occur in conformity with your will-power? If you cannot do it, the answer is “no”. If you can do it, the answer is, “of course”. How does one learn to use magick to get what they want in the real world? Crowley has written many step-by-step guides. What I have found is that he teases the reader with allegory. At the dawn of the twentieth century when he was writing about magick, there was no good vocabulary in English for what he wanted to describe. He was a student of yoga, yet even the Sanskrit words he uses to describe what he means are difficult for Westerners to really understand. He turns to classical metaphors and allusions to mythology to try to convey what is essentially impossible to do with words. If the reader does not know Greek and Latin, and is not familiar with all the literature Crowley absorbed while at Cambridge, it is easy to get lost. There are other, more accessible teachers, but the aspirant must eventually make his own path. All paths will eventually lead to enlightenment, and there is a teacher on each one. It is the realization that you must abandon them all and move toward the Abyss on your own that brings the magic to you. This is what Nadira discovers in the sequel to The Hermetica of Elysium. The Necromancer’s Grimoire explores the next step in her journey to understand the nature of reality: controlling it. What is a Medieval Fantasy? 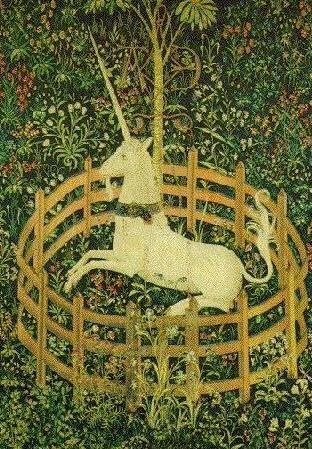 I think if a story included unicorns and dragons it would be considered Medieval Fasntasy. The Hermetica of Elysium has not a single unicorn, and no dragons. This novel is heavily steeped in the actual historical world of alchemists and the people who supported them. Much of this kind of history is unknown because of the necessary secrecy. Not secrecy because secrets are a big ego-boost…but secret because of the real threat of a painful death if one was discovered delving into the mysteries of the Universe without benefit of a priest. The Catholic Church had a stranglehold on the spiritual in Europe at the time, and anyone caught thinking or reasoning was held in suspicion. Anyone caught practicing the old religion was held in chains. The alchemists sought to understand the knowledge of the ancient philosophers of Greece, Rome, Egypt and the Middle East. They experimented with the essences of plants and minerals and tried to see their world from an objective viewpoint. They wanted to observe how things worked, not just listen to a priest tell them how god made it so. In this desire they contributed to the genesis of modern science. In the novel, The Hermetica is a book containing collected wisdom of many cultures, written in many languages and on many topics. Inside is the key to understanding some of the more difficult mysteries of life and death. This key is linked to a necessary mental state that must be achieved in order for a person to rise above the mundane and and really understand how the world works. Robert Heinlein had to create his own word for this experience becuse English is weak in mystical vocabulary. He called it “grokking fully”. This phrase, along with “sharing water” became common among the young people of the sixties when they stumbled upon the enhanced visionary capabilities available at the time and found themselves grokking the nature of reality. If this is all real, where is the fantasy in the Hermetica of Elysium? The story starts out in reality, in history. It moves through the imagined world of the alchemists to a realm of possibility that delves into the mystical. Once a person has expereinced these realms, the fantasy element dissolves into a personal reality. After that, only what one has yet to experience becomes “fantasy”. Every real, solid experience you have is rooted in an idea first. Everything. You cannot even go to the Quickie-Mart for a soda and chips without thinking first, “I want a soda and some chips”. It starts simple and can move quickly to the complex: “I want to become President of the United States”, or “I want to become involved in a land war in Asia”. At that genesis point, the idea is fantasy. Whether you bring it into physical reality or not is up to you. That is why The Hermetica is Fantasy. It delves into the world of the mind and the spirit. Two things even our fantastic technology can neither define nor photograph. But no one doubts that the mind and the spirit exist.